This universal sensor can measure temperature, sound, motion, light, weight, and even the water level in your pet’s bowl. A California-based startup says it’s come up with a multipurpose sensor that can make most any household object a smart device. 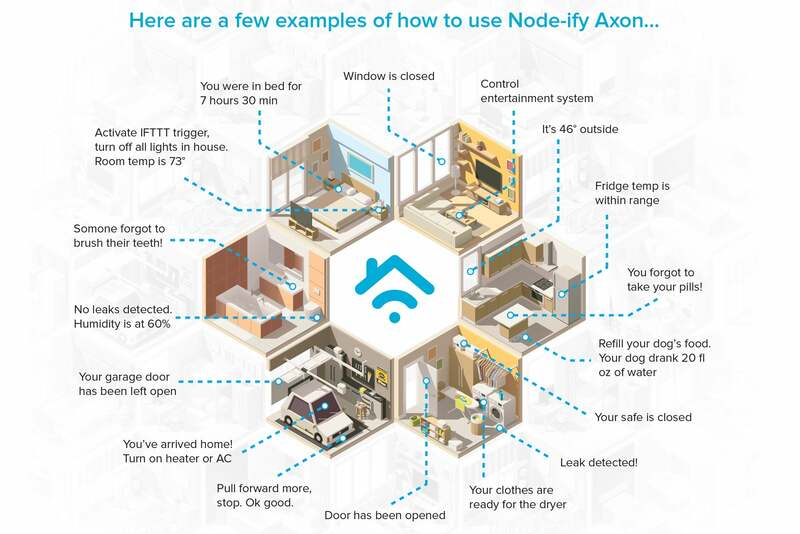 Palo Alto Innovation’s Node-ify Axon houses multiple sensors in a puck-shaped enclosure that can measure, detect, and send alerts based on a host of conditions. 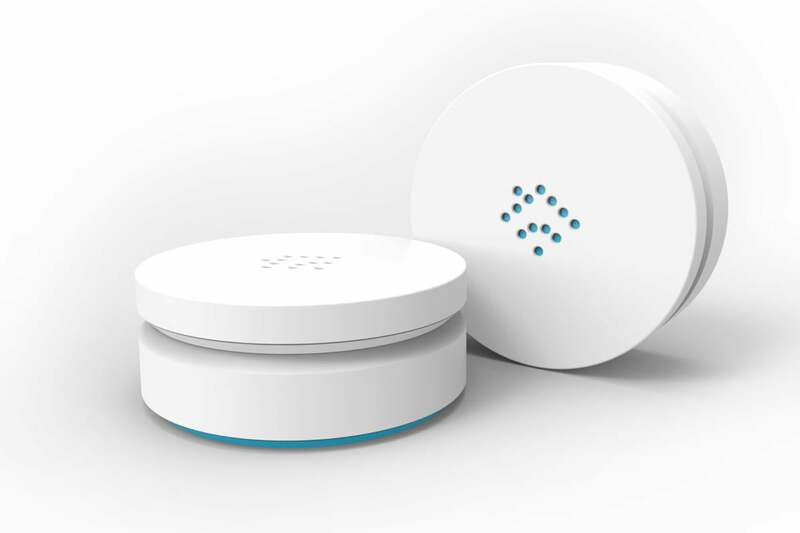 The company says its device can not only detect the presence of water and alert you to a leaky toilet, for example, but that it can also measure water and send you an alert when your pet’s water bowl gets too low (though you’d need separate Axons for each application). Onboard sensors can also measure ambient temperature, humidity, light, sound, touch and motion. Other use cases have homeowners mounting the sensors to doors, windows, and gates, where they can determine if they’re open or closed; placing them in the refrigerator or freezer, so that you’re alerted if temperatures rise and put your food at risk of spoiling; and even putting them underneath a child’s toothbrush holder, so parents can verify if the kids have brushed their teeth. Suggested uses for the Node-fy Axon multipurpose sensor. The battery-powered Node-ify Axon uses Bluetooth Low Energy technology to relay information to an app on the user’s smartphone. The app can then trigger or automate other events via IFTTT. Details are thin beyond that. You’d want the sensor to report to some kind of a Bluetooth hub, for example, with a bridge to your router. Otherwise, it will be useful only when you’re home. And the company has not yet announced pricing or availability. The sensors will need to be relatively inexpensive if they’re to be deployed all over your home, as in the illustration above. We’re hoping to learn more about the Node-ify Axon at CES 2019. This story, "Palo Alto Innovation says its Node-ify Axon can transform almost anything into a smart device" was originally published by TechHive.